Inside: Here's hoping you have all the right tools for a Merry Christmas. 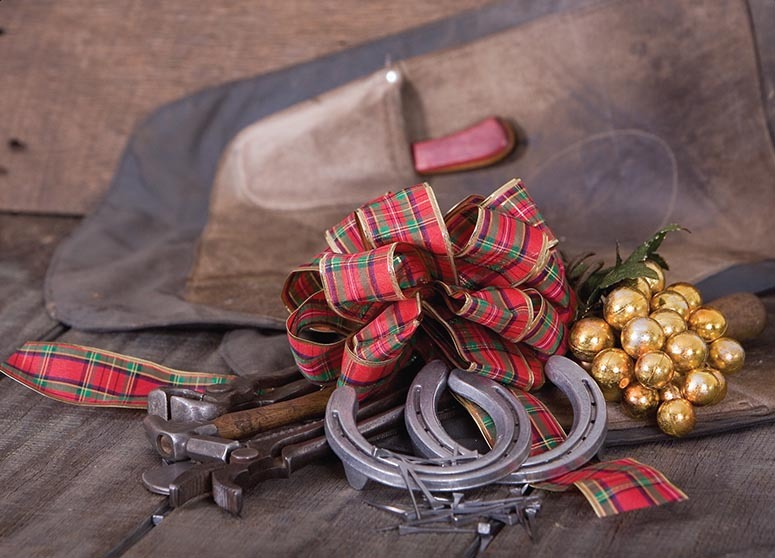 Shown above is "Christmas Tools" - a photograph by Laura Cotterman - a farrier's wife. Laura waited until her husband was out of town - so she could use his apron and tools as props!